/ News / Can you find God of War's few remaining secrets? Can you find God of War's few remaining secrets? Even though it has only been available scant months, players have already played Sony Santa Monica smash God of War to death. Despite fans the world over maxing out almost every element of the open-world adventure, solving riddles and uncovering Easter Eggs, there may still be one more hidden gem out there. 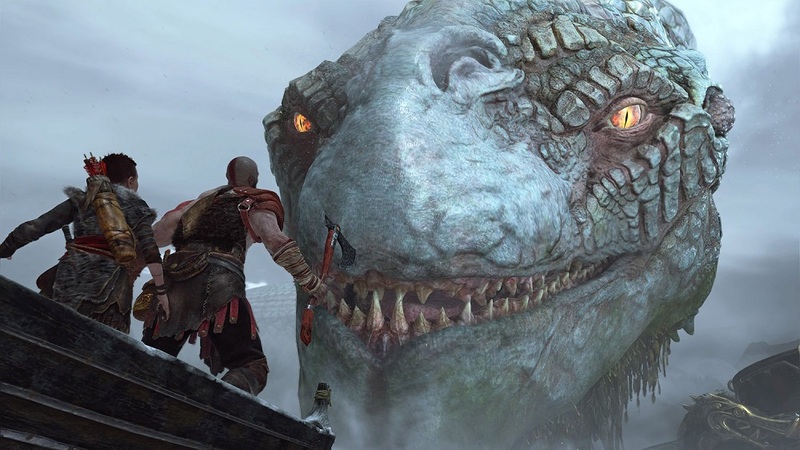 Speaking in an interview with Gaming Bolt, God of War's Director Cory Barlog has said there is a secret that he is yet to see reported anywhere. Of course he wasn't forthcoming on said surprise, that would spoil the fun for everyone. "I always think that people usually figure things out within hours, and the fact that we went a week without people figuring things out was impressive,” said Barlog. "But I still think there is one thing that no one has found yet that I know for certain, because I haven’t seen any stories about it. Now I’m not going to tell you what that is, but I don’t know if there’s any cinematics per se, it seems like people have been able to get all the permutations. Not one person, but everyone collectively." There you have it. Unless you're sitting on the answer to this secret yourself, there is still a mystery out there in the wilderness, waiting to be solved by some wry lateral-thinker. As for me, I kind of fall apart once a problem isn't solved by an axe to the fo'head, so I'm tapping out on this one.